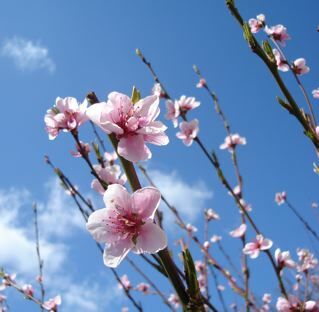 Ah, spring time is in the air in some parts of the country. Spring time makes us think of existing or upcoming Farmers Markets and their wonderful, fresh, local bounty that is available to any & all consumers willing to make the extra effort to shop there. The United States Department of Agriculture (USDA) though its Agricultural Marketing Service (AMS) has a website for its USDA AMS Farmers Market awareness program. USDA would like to make it easier for those living in the USA to shop in Farmers Markets. You can use either the Dynamic or Accessible version of the National Farmers Market Directory Search Engine to find out about locations of Farmers Markets that have registered with USDA within a specific geographic locale in the United States. In theory, there is an on-going updating of the database for these markets which voluntarily self-report their information to USDA. The United States Department of Agriculture National Agricultural Library (USDA NAL) also has more information at their website in their “Consumer Corner” in the area of “Green Nutrition” and you can check out any of the resources found there on “Eating Green” per se, including Know Your Farmer, Know Your Food (KYF Compass Program) and much more. You can also sometimes find a Local Farmers Market through Local Harvest. Beyond Farmers Markets, some farmers are involved in what are called Community Supported Agriculture (CSA) programs in some locales which might also have some USDA support. Some of these farmers have a type of CSA program which offers “shares” of the produce that is generated by their farm. Members of the community can buy a “share” for a fixed amount for the entire growing season paid in advance, thus sharing in both the risks and the bounty of what Mother Nature offers in that climate in that year’s growing season as specified in the “share” offering. Often a consumer participating in a CSA program must travel to the farm within a very specific window of time on a given day of the week (say a Monday evening between 6:30PM – 8:30 PM) to pick up their CSA share offering of the week (which could be a basket, bag, or box of locally grown seasonal produce from the farm). If the consumer misses their window of opportunity to pick up the produce they lose access for the entire week. Other farm programs may offer for an additional fee a delivery program option as well. CSAs are just one specific way to check out some good food choices within your community in addition to and in concert with awareness of Farmers Markets in general. If you’d like to learn more about making better food-related choices overall, then feel free to check out the March 2012 version of a ‘Good Food Checklist for Eaters’ per se from Environmental Nutrition Solutions. Another Registered Dietitian, Angie Tagtow, developed it to encourage positive food choice and related behaviors by all of us at home, at school, at work, and in our various communities. She also encourages others to check out CSA options that might be available to them. Besides checking out Local Harvest, you may also be able to find a CSA program through some national or even state and regional databases and directories. Beyond Local Harvest, National Databases you can search by state, city or zip code include: the Biodynamic Farming and Gardening Association CSA listings, or NewFarm Farm Locator, or the Wilson College, Robyn Van En Center CSA Farm Database, or the The Eat Well Guide. A State and regional farm directory listing would include: Local Food Directories. ATTRA – The National Sustainable Agriculture Information Service. The USDA NAL also has information for consumers on topics such as: Food Security and Food Quality, etc. 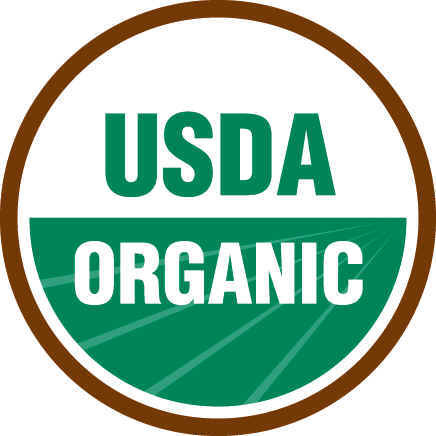 You can find details on Organic Food Labeling at the USDA NAL as well. Keep in mind that if the gross income of the farming operation from organic sales is less than $5K, then it does NOT have to be certified by USDA-accredited certifying agents. Additional details are available at the website for the National Organic Program. To find out more about local farmers markets in your area, you can also check by state within the Farmer Market Coalition (FMC) to find out some details about larger organized Farmers Markets in any given state. Many of these state organizations have received Federal USDA monies to help promote raising awareness of various Farmers Markets as well as the state organizations of registered farmers and their products within that state and to expand potential offerings to consumers in specific areas. The USDA KYF Compass program has benefited numerous such organizations and you can find out further details by checking out the KYF Compass Map. If you don’t have access to your own or a friend’s backyard garden or an area community garden, then take a little time to search for Farmers Markets +/or any CSA programs in your area. You’ll be glad you did once you taste truly fresh harvest bounty. 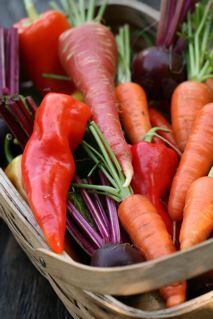 (Photo of basket of organic vegetables courtesy of Dahlia (and her backyard garden) via rgbstock.com). Just be sure to speak with the farmer about any use of chemicals, hormones, pesticides, etc; determine if the produce is USDA Organic (look for a certification notice); and optimally only buy what you can reasonably use up (or freeze or “can” if need be) in the next couple to three days time so that you maximize both the flavor and freshness of the item as well as its nutritional value when consumed. Fresh should not be old and if produce isn’t really fresh and is past its prime, you might sometimes be better off with alternate choices of frozen or canned. Some vendors at Farmers Markets do buy produce at the wholesale level to then resell at retail via Farmers Markets, so be aware of that as well. Occasionally heirloom or other special varieties of produce might be available through a local organic farmer, so take the time to sort out your options for produce as Spring time goes into full swing. In certain areas of the country, only Summer or Fall Farmers Markets may be available, while other locations may have some options for even Winter time Farmers Markets held indoors. If you plan on doing any traveling via road trips this year, remember that you can also access the various databases to find out if there might be some Farmers Markets listed in them along the route you plan to take. Although in the area where we live (the Northeast), there is a Regional Farmers Market in a nearby city, the smaller open air market downtown is only open on Tuesdays starting usually in June just for the summer months. Various towns around where you may live may feature other weekly Farmers Market times on different days during specific daytime hours so check out those town and/or village websites looking for more details or call if you don’t find anything listed. Enjoy nature’s bounty where you can find it–the aromas and vistas of a good Farmers Market are always worth a few moments of your time.